The Government of Canada recently announced funding for projects under its Ocean Protection Plan. The financial contribution by the government is $7 million over 5 years for projects to help restore coastal habitats in Nova Scotia and the Arctic. Four organizations will receive together over $7 million over 5 years for projects to help restore coastal habitats in Nova Scotia and in the Arctic. h multi-sectoral partners, including Indigenous organizations and communities to engage, educate and build capacity to protect and restore this important habitat. 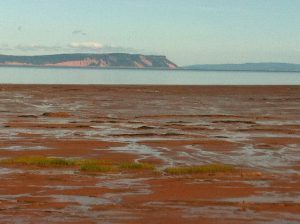 Saint Mary’s University, Department of Geography & Environmental Studies is receiving $1,830,594 in project funding towards restoring tidal wetland habitat through the realignment of dyke infrastructure at several sites bordering the Bay of Fundy. It will include building regional capacity for effective scientific, technical and procedural components of managed realignment and marshland restoration projects that can be applied to future sites throughout Atlantic region. The Maritime Aboriginal Peoples Council is receiving $1,259,304 in project funding towards identifying areas for rehabilitation and developing a restoration plan focused on addressing habitat restoration and impediments to fish passage, such as improving the efficiency of tidal-gate or aboiteaux structures. Four of the five watersheds within the project scope are identified as critical habitat for the endangered inner Bay of Fundy (IBoF) Atlantic Salmon. Dalhousie University will receive $1,985,500 to determine coastal restoration priorities across Nunavut, and restore three priority sites, including a low flow barrier to fish passage located on the Nilaqtarvik River near the community of Clyde River. The study will address data deficiencies in coastal habitat health, habitat fragmentation, fish health, traditional knowledge and science through community consultation and feasibility studies. Researchers will also work in partnership with the Government of Nunavut, hamlets and Hunter and Trapper organizations in all 25 Nunavut communities to develop coastal restoration plans on a case-by-case basis. The Coast Restoration Fund, started in 2017, is a $75 commitment by the Canadian to help rehabilitate vulnerable coastlines and protect marine life and ecosystems. The Coastal Restoration Fund, under the responsibility of Fisheries and Oceans Canada, supports projects that contribute to coastal restoration on all of Canada’s coasts, with preference given to projects that are multiyear and involve a broad number of partners, including Indigenous groups. The Coast Restoration Fund is part of a larger Oceans Protection Plan. Under the Oceans Protection Plan, the Canadian Government has committed $1.5 billion to coastal restoration.